Radio yachting is a relatively unknown form of sailing but it is rapidly growing in popularity all over Australia, including Tasmania. In the South the main club is the Risdon Brook Radio Yacht Club (RBRYC). This Sunday 7 January 2018 local boats may be seen racing and practicing for the Radio Yachting National Championships at Montrose from 11.00 am. The day has also been designated as a “try Radio Yacht Racing” day and members of the public are welcome to come along and give it a go. The 2018 Australian Radio Yachting Association, (ARYA) National Championships will be held in Hobart between February 12th and the 24th. 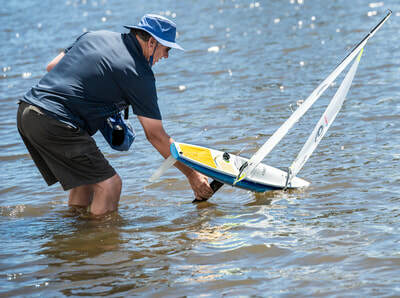 The Risdon Brook Radio Yachting Club, with the support of the Montrose Bay Yacht Club, (MBYC) will run the event at the MBYC facility on the shores of Elwick Bay. More than 80 boats have entered so far with boats from around Tasmania, Australia, and from New Zealand and the USA. 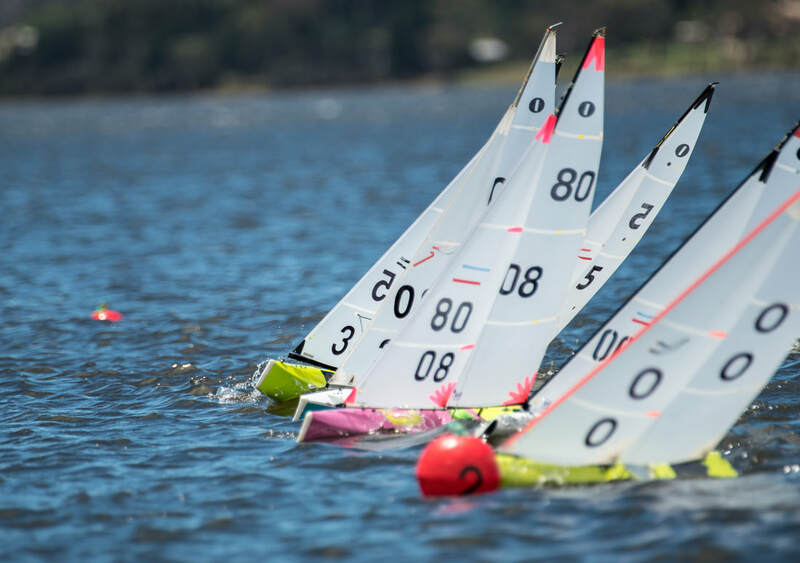 The four main Radio Yachting classes sailed in Australia will be sailed as individual championships on separate days within the National series. 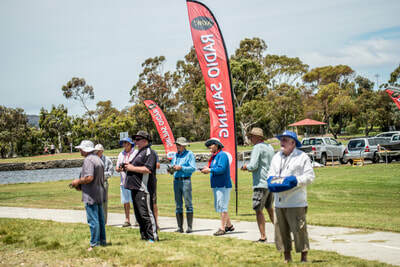 The most popular class, the International One Metre has over 40 boats competing. Racing will be fast and furious with short tight courses close to the shoreline, each race taking no more than 15 minutes. At least 10 races of each class will be run on each day. The racing is conducted under the same set of international sailing rules as any other recognised yachting event. 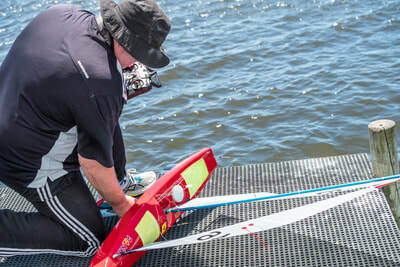 The fleet racing will in many ways be a greater spectacle than harbour racing as the course is in full view for spectators and boats are often only millimetres apart at the start and rounding buoys on the short course. Racing is only metres from the shore. The sport has seen a massive increase in popularity in recent years with tens of thousands of competitors world wide. Boats range from the economical plastic off the shelf yachts to the sophisticated 3D printed units and carbon composite boats with exotic sail materials. 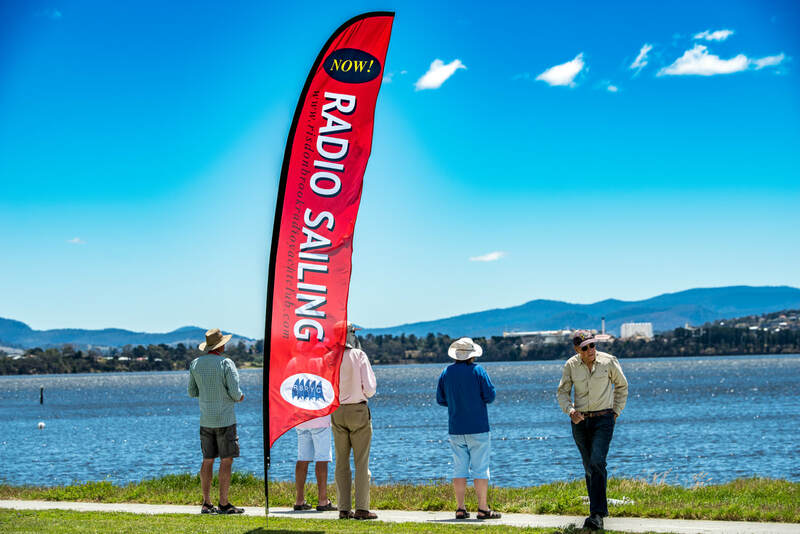 Radio yachting is conducted at least one of several locations around Hobart every Sunday year round, on Wednesdays and most Thursdays. 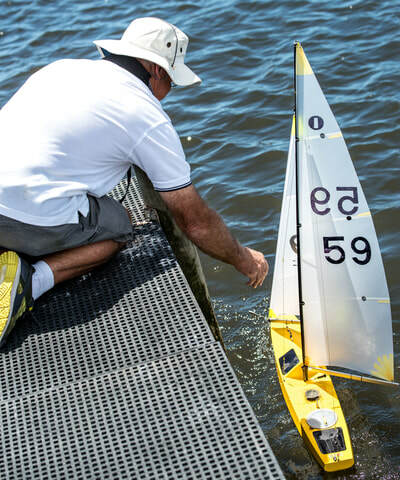 The public are welcome to watch the yachts close hand and the club welcomes enquiries about Radio Controlled Yachting both as a high performance sport and as an enjoyable family friendly pastime. Radio Yachts are also raced in the North West , North and East Coast of Tasmania on the Huon, at Risdon Brook dam and can often be seen at the Lauderdale Canal.